These accomplished SFU alumni talk about their career paths and influences. First published in The Peak May 2009. 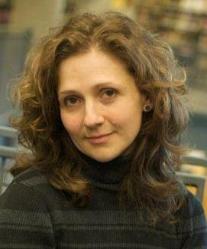 Daniela Elza is both a poet and a PhD student at SFU who studies the Philosophy of Education. Shelley Hrdlitschka is a young-adult novelist who completed her teaching certificate at SFUs Professional Development Program. Both were cohorts in B.C. Book and Magazine Weeks Main Street Literary Tour on April 23. This tour highlighted some of Vancouvers most prominent artists and allowed participants to explore the city's unique literary culture. I had the chance to speak with them about their university studies and writing. The Peak: How has SFU influenced you, if at all? How are you finding your time at SFU? Daniela Elza: My time at SFU has been very productive since I found people here who understand and support what I am doing. When you find that support it is a beautiful thing. I feel fortunate to have Heesoon Bai as my senior supervisor and Carl Leggo as one of my committee members. It is here that I took my poetry to the next level and started to view it through the lens of philosophy and education to make sense of it in a wider context. 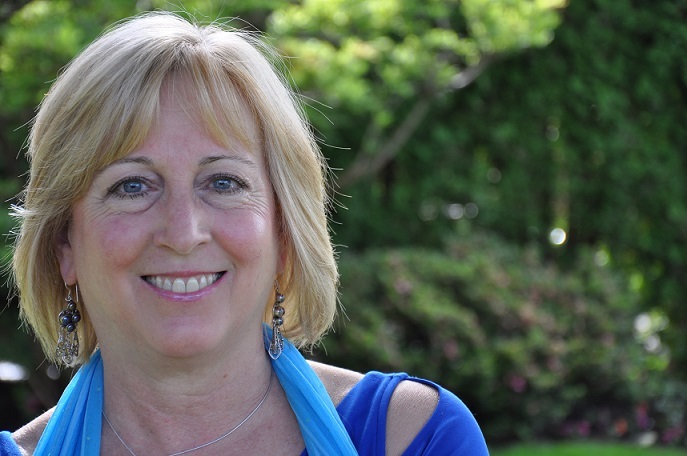 Shelley Hrdlitschka: I was only at SFU for 12 months, so it didn’t have a huge influence, but I did receive my teaching certificate there, and it was as soon as I started teaching that I discovered my love for children’s literature, so I guess there is a connection. *P:* What does your PhD in Philosophy of Education involve, and how has that influenced or affected you? Daniela:I am still working this out. I brought poetry into my research not only as a concept, but as a practice. I realized I could not exist as a poet on the one hand, and as an academic on the other . . . I needed both my hands if I was going to get anything done. Philosophy is a kind of condensed wisdom, the labour of loving wisdom, shall we say. So I am exploring a way of doing philosophy through the medium of poetry: philosophizing poetically. It shifts knowing from residing strictly in the mind (and a bit to the left), and diffuses it through the body, the heart, the gut, and through the natural environment. This is important for philosophy, and even more so for education whose purpose should be to heal the world . . . . We should be careful not to turn philosophy into some exclusively intellectual exercise for the purpose of scratching our academic itches. This is how it was taught to me, for the most part divorced from where it stems from: the big questions in life. I feel encouraged that my work has had such a warm welcome [and] am lucky to be in the same town with others working in this field. I have published in peer-reviewed journals like Environmental Philosophy, Paideusis, and Educational Insights. *P:* Do you think that B.C. Book and Magazine Week is an important and influential event for the B.C. literary scene? Daniela: This is my first time at B.C. Book and Magazine Week. I feel that having such events and gatherings is important to creating community among writers and readers, as well as exposure. Shelley: Absolutely. It’s a wonderful time to celebrate the writers (and readers) in B.C. Writing can be a lonely occupation, so this is one opportunity to get out and meet others on the literary scene. *P:* What inspires or motivates you to write? Daniela:Everything. It could be a word, a view, a face, a memory, an overheard comment, the way a trees limbs grip the sky. It could be anything wonder, awe, curiosity, a question. Usually, it is a sign something needs attending to, and it is likely to take me where this tending is needed. Ultimately, it is the big picture: I have to trust that each poem contributes to the puzzle, to the co-ordinates of this territory I am exploring. Shelley:I explore themes that interest me in my writing, and learn a lot as I go along. I love the organic process that takes place the inspiration that seems to come from the universe. Once you’re warmed up, it seems that something else takes over as you write. Each time I experience this I’m awed by the process all over again. *P:* How long have you known that you wanted to write for a living? Daniela:If it is in the sense of making money: writing for a living stood in my way for a long time and prevented me from writing. Since I could not make money (and life revolves a lot around this concept of making a living) I had to do it on stolen time. In that sense, I do not think you can make a living writing poetry. For me being a writer or poet means writing for a living. I write because I find that this way of being, this kind of attention to the world improves my life, it gives me life. If I have to think of writing for a living, that would be the way I would like to think of it. In this case, the answer to your question is that I have known since my teens, and this knowing came back six or seven years ago. Shelley: About 20 years, though I’ve really only been making an income from writing for about 11 years. *P:* Who are your favourite writers and poets, and do they inspire you in a direct way? Daniela:The names that come to mind right away would be Gaston Bachelard, David Abram, Tim Lilburn, Robert Bringhurst. I will not be able to name all the poets, but to highlight a few: Anne Michaels, Jorge Luis Borges, Rainer Maria Rilke, Wislawa Szymborska, Aislinn Hunter, Jan Zwicky, Roo Borson, Alison Pick, Sue Sinclair et cetera. In the last couple of weeks I have been enjoying Lilburns Living in the World as if it were Home and Bringhursts Everywhere Being is Dancing: Twenty pieces of thinking. Their work is not only delightful and inspiring, but it also emboldens me. Shelley: My favourite writers are the two women in my writing group, Diane Tulson and Kim Denman. I admire their writing and we continually give each other feedback on our current projects. They continually inspire me. *P:* What projects are you currently working on? Daniela: This coming term I will be doing my comprehensive exams. I am still working on some collaborative poems and am beginning to get ready for my presentation at the second Poetic Inquiry symposium this Fall in PEI. Right now I am very excited about completing the manuscript for four poets: Daniela Elza, Peter Morin, Al Rempel, Onjana Yawnghwe. We will be launching this book on September 21 at the VPL. Shelley: I have another teen novel on the go. This one explores a relationship between a teacher and a student, and we discover that nothing is ever black and white. *P:* How has your travel influenced your writing? Daniela:I think it cultivated my awe and respect for the amazing diversity of our world. Being in places and cultures where people make sense of the world differently from you is invaluable to curing narrow-mindedness, to nurturing an understanding and tolerance for the other. I am sure this influences my writing [through a] fascination with language. How each captures reality a bit differently, hence reality is not language, but language can create realities. Don McKay says: Poetry is language used with an awareness of the poverty of language . . . It knows the world is, after all, unnameable, so it listens hard before it speaks, and wraps that listening into the linguistic act. *P:* What advice would you give to SFU students who want to become published writers? Daniela: Publishing can be a fickle business. You can be accepted or rejected for reasons that often are beyond your control. If you are in it just for the publishing, then you may spend your time frustrated, trying to please, trying to accommodate to the market, so the impetus has to come not just from the idea to publish. It is hard to sum it up, but here are three things that worked for me: Most importantly, ask yourself why you are doing what you are doing. If you wake up everyday and you cannot go through your day without writing, if writing energizes you and you feel alive through it, pursue it. Second, I would recommend finding a mentor to work with, to help you take your work to the next level. Finally, send, send, and again send your work out. Be disciplined. Set yourself realistic goals as to how many submissions you want to send and try to send out that many and to different places. You have to research the journals and magazines you send to. Edit and to jump through all those little hoops one needs to jump through to get the envelope in the mail. But, first and foremost, it is the passion, the incessant pursuit of this passion: that will pull you though to the end. Shelley: Stick to it . . . . Persevere. Don’t let a few rejection letters discourage you. Keep submitting and keep writing. I think I had over 100 rejections before my first book was published. *P:* How autobiographical are your books? Shelley: Each of my books has a nugget from my own life, which I fictionalize to the point where it is no longer recognizable. *P:* What made you focus on teen fiction? Shelley: I tried writing picture books and juvenile novels, but wasn’t successful until I attempted teen fiction. I believe that is what my voice is most suited to.